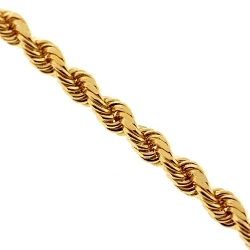 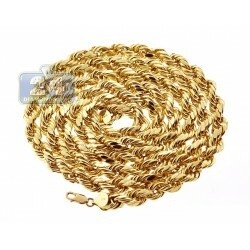 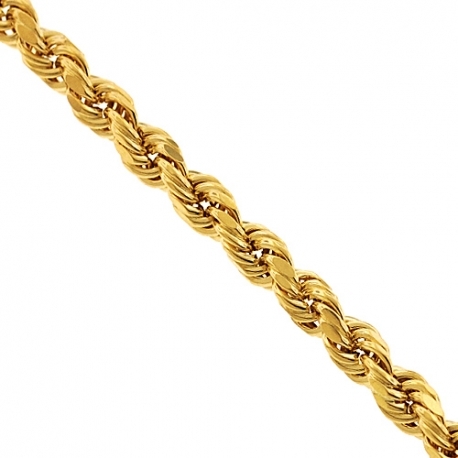 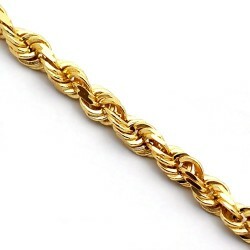 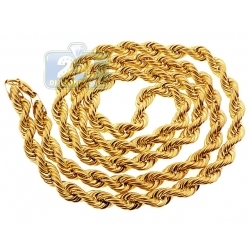 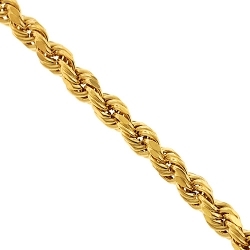 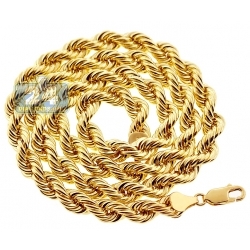 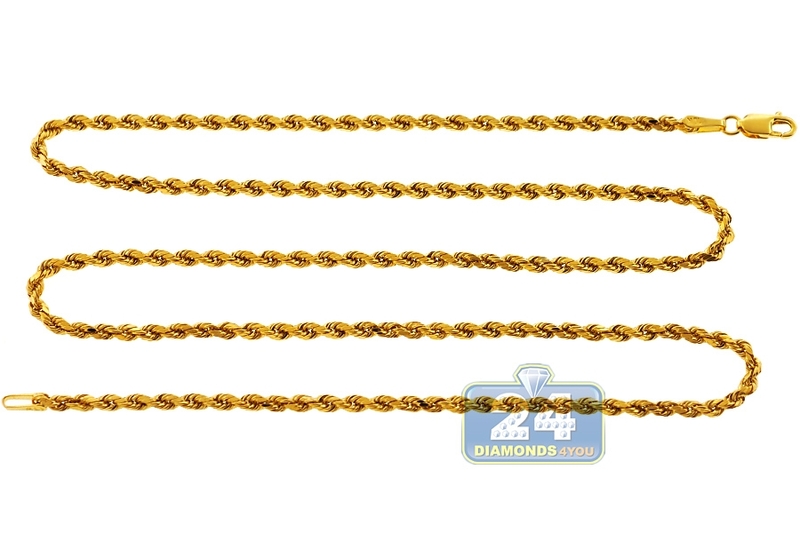 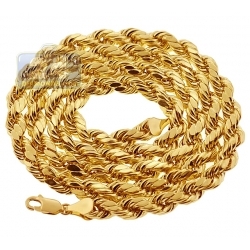 10K Yellow Gold Diamond Cut Hollow Rope Chain 2.5 mm 20 22 24 26"
Our stunning hollow rope chain has a classic look that will never go out of style! 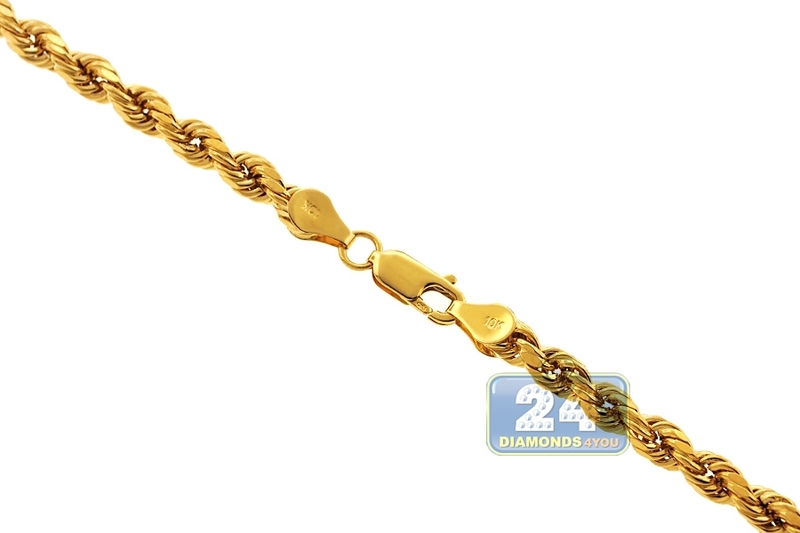 It's artfully made of Italian 10k yellow gold, and has diamond-cut pattern for extra shimmering. 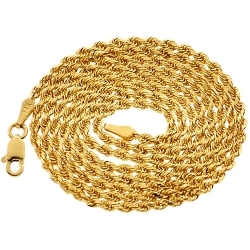 It features 2.5 mm in width, available in 20, 22, 24 or 26 inches in length, and secured with a user-friendly lobster claw closure. 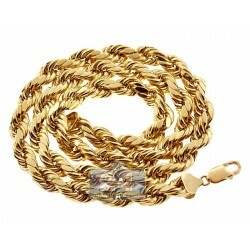 This men's rope necklace looks wonderful on its own!